Republished from Radio New Zealand National: A few weeks back we heard from three of the country’s youngest politicians, and this week we’re speaking to three young people who are no less passionate about bringing about change through political actions but have chosen to do so in quite different ways. Finlay talks to Unite Union regional organiser Heleyni Pratley, who is also a member of Fightback; Jordan Williams, executive director of the Taxpayers’ Union; and Paul Young, Solutions and Strategy Researcher for Generation Zero. Produced by Jeremy Rose. Lina’s field work uncovered a number of domestic and international labour law violations which are discussed in this interview, interviews with migrant workers provide an insight into their lives working on New Zealand’s orchards. Listen here. This is part one of a two part show. Joel and Alastair interview Mike Walker for VBC Radio about the solidarity campaign “Resistance is not Terrorism” that the WP is running in support of the PFLP’s struggle for the liberation of the Palestinian people. The file can be streamed or downloaded here. The Joel Cosgrove Variety Hour interviews Matt McCarten, ex-New Labour Party President and Unite general secretary. Topics discussed include the split within the Labour Party, the Unite $15 minimum wage campaign as well as more general discussion about Union and its direction. 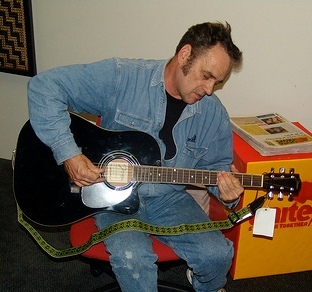 The Joel Cosgrove Variety Hour recently interviewed Phil Ferguson who spoke at Workers Resistance 2009 on Karl Korshe and Historical Specificity. As well as Korshe this interview includes discussion of the current economic situation and Marxist economics. Download the MP3 here. Click here to listen to the Workers Party Radio Address for the 2008 election. The music is by Wellington Central candidate Don Franks. The following talks recorded at forums in the first half of 2008 have just been added to the Spark Audio archive. In this talk Mike Treen looks at the history of Cuba since the revolution and Cuba’s place in the world today. In this talk Dennis Maga from the KMU (May 1st union movement) talks about the issues facing the oppressed workers and peasants in in the Philippines and the mass movement for change in that country.